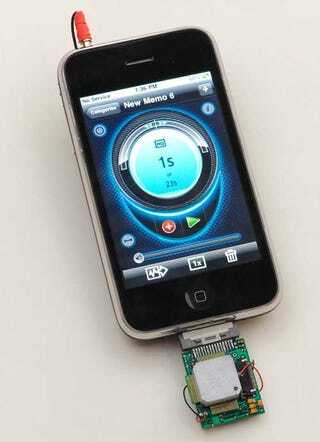 Leave it to a NASA scientist to create the first Star Trek Tricorder using a stamp-sized sensor chip, an iPhone, and some spiffy programing. What does it do? It can detect killer gasses in the air. While the concept is not new, this prototype is fully working and operational. Created by Jing Li and a team of researches at NASA's Ames Research Center, Moffett Field, California, the sensor is a multiple-channel silicon-based sensing chip integrated in micro-board with 64 nanosensors.